Exparte decree can be set aside, even if the other spouse remarried - Kerala High Court. A division bench comprising of Justice CK Abdul Rehim and Justice R Narayana Pisharadi was considering an appeal filed by a women against the order of the family court setting aside the ex parte decree. 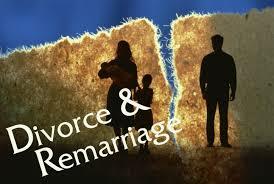 The family court had earlier granted an ex parte decree and thereafter the man remarried. Later the wife filed and application to set aside the exparte decree. The Family Court dismissed it as infructuous on the ground that the other spouse is remarried. The question arose is whether remarriage of one of the spouse is a reason to dismiss the petition to set aside the exparte order stating it as infructuous ? Whether remarried or not, the application has to be considered on merit and it cannot be dismissed as infructuous. However, the court also answered the question of bigamy in such an event. It was held that there cannot be an offence of bigamy since the second marriage was after the date of legal divorce.